Following the historic success of Baahubali 2, Young Rebel Star Prabhas is gearing up to shoot for the much-awaited film, Saaho. The film’s teaser was unveiled before Baahubali’s release and it stunned everyone with its action-packed stunts. In his latest interview to a popular English daily, Prabhas clarified that Saaho is not a sci-fi film as everyone kept thinking after the teaser’s release. “Saaho is set in the present. It is not a sci-fi film, it will be high-tech, there will be action scenes by Hollywood choreographers. 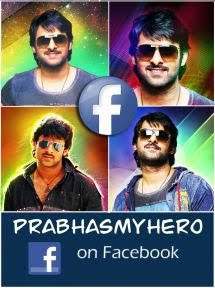 We plan to make an impact in action,” Prabhas said. The macho actor further said that they wanted to make a film that they could release everywhere, something that is universal. Saaho is being directed by Sujeeth and produced by UV Creations banner.